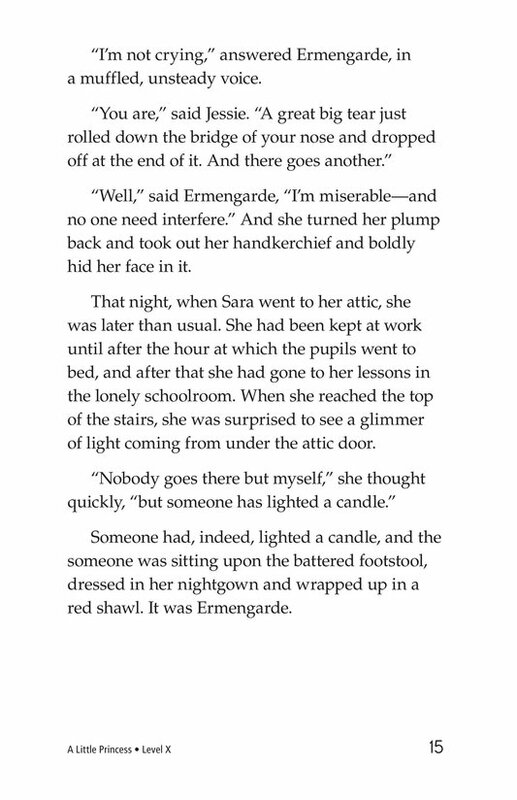 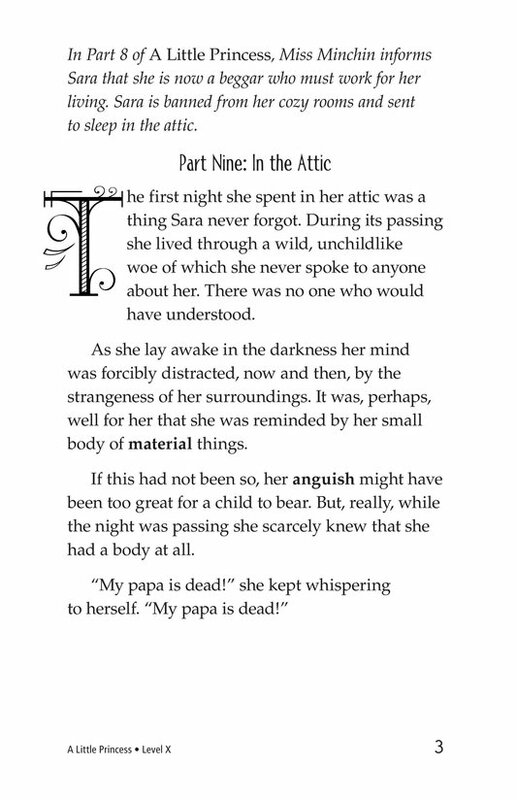 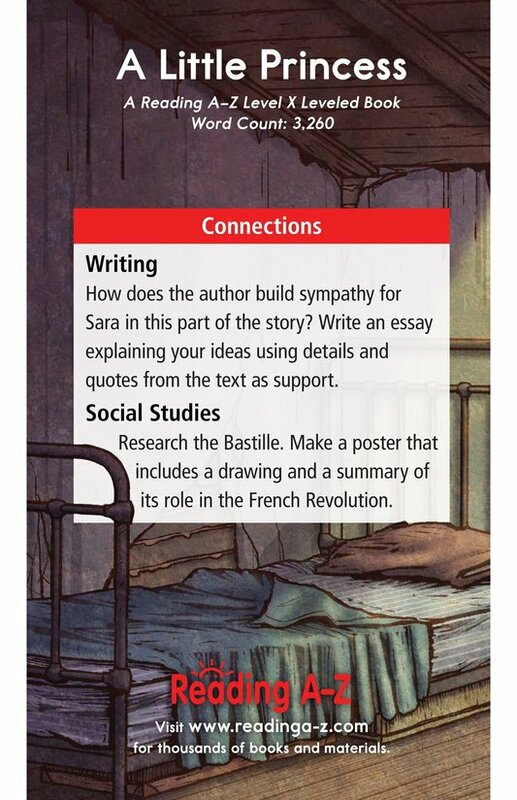 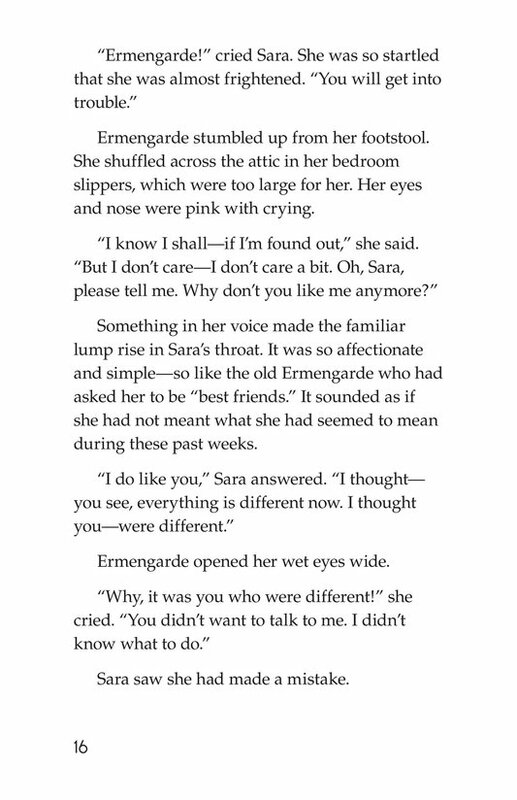 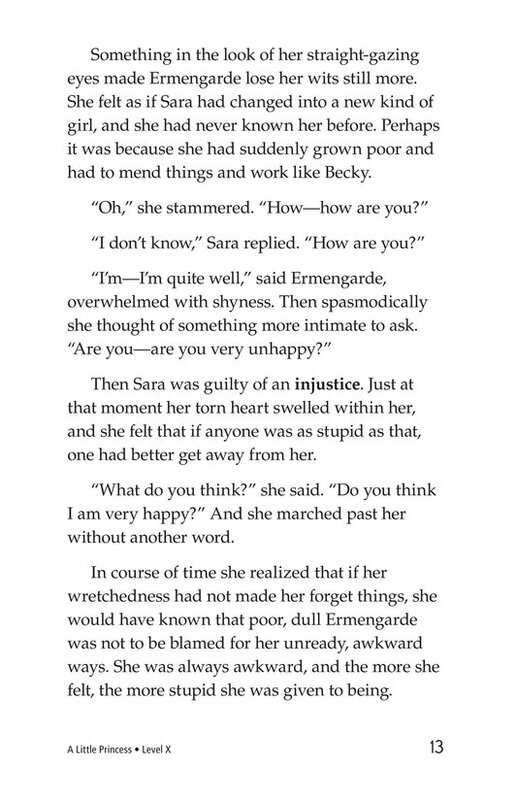 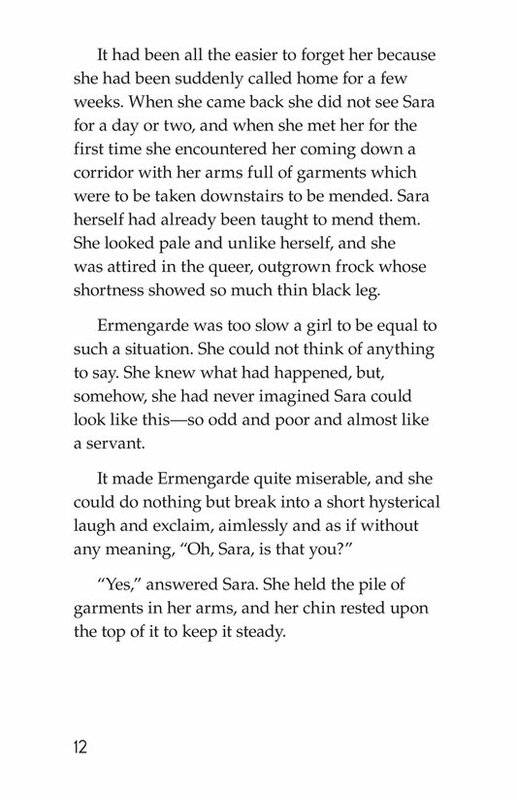 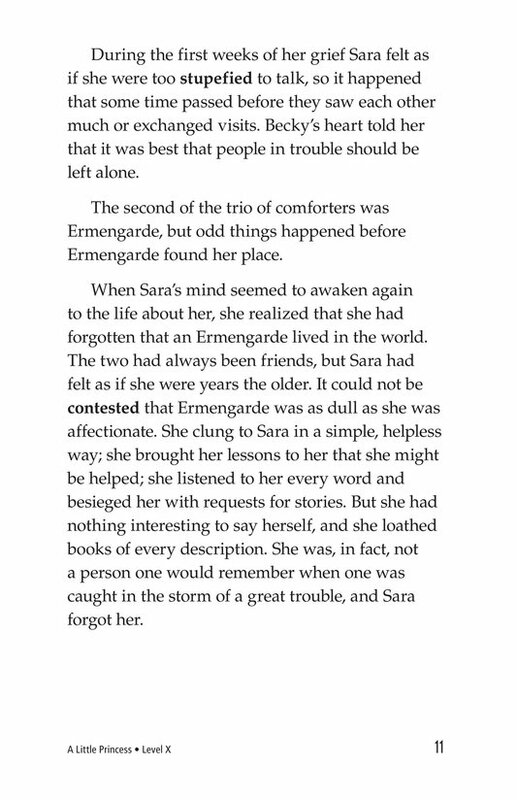 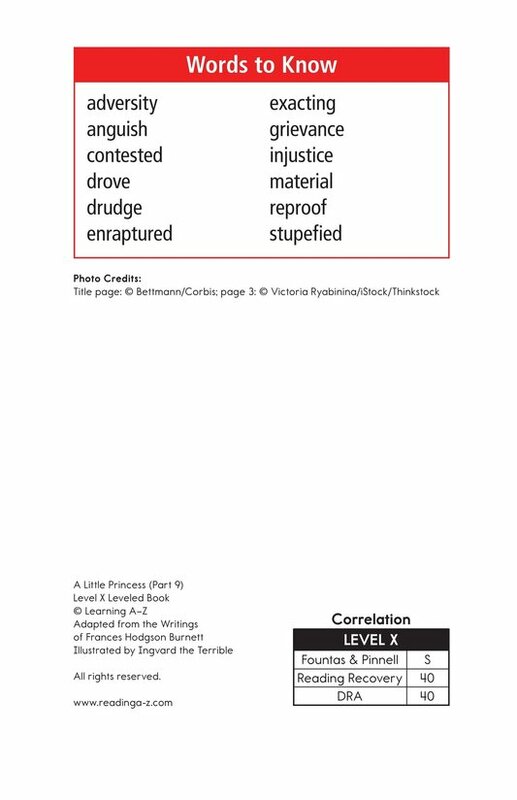 Sara begins her desolate new life as an orphan and school drudge. 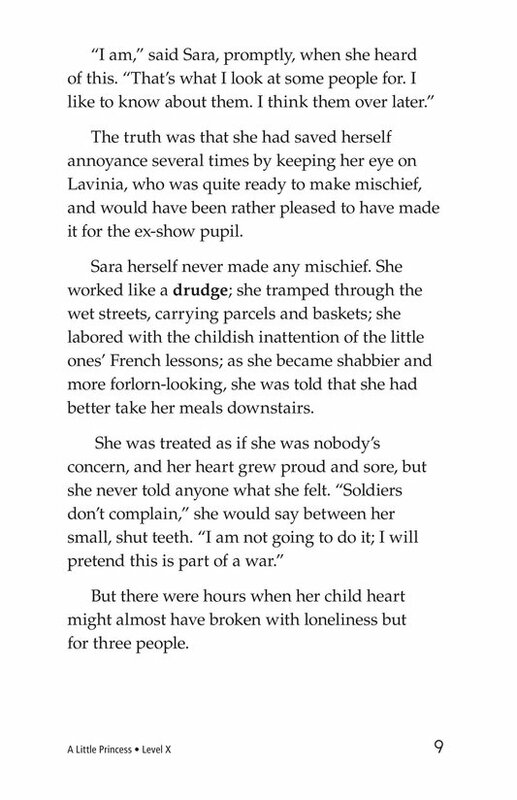 She shares her cold attic room with rats and works tirelessly through the day without complaint. 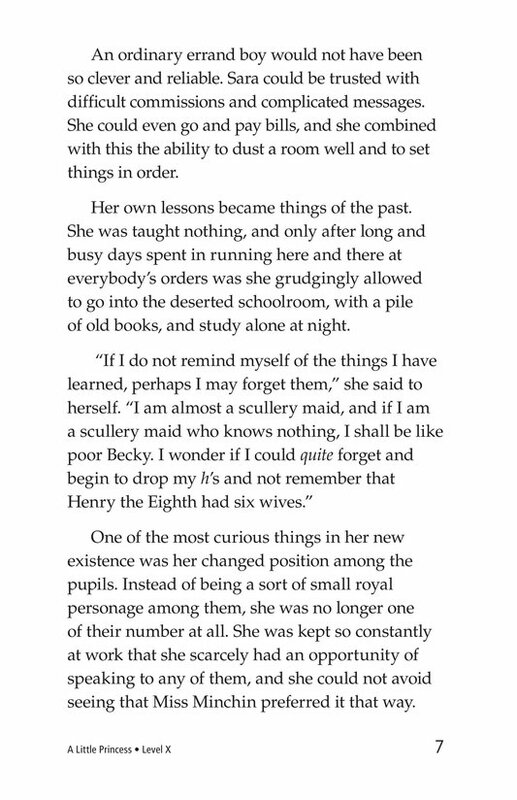 Many of the other servants take pleasure in bossing around the former rich girl. 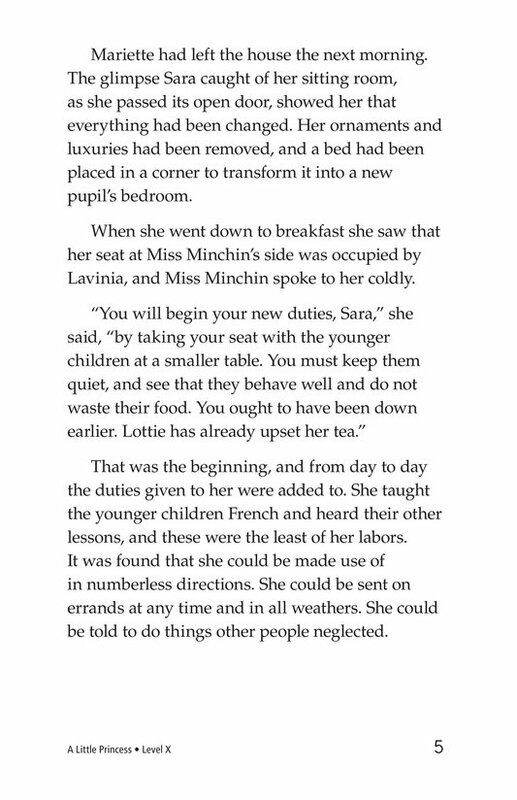 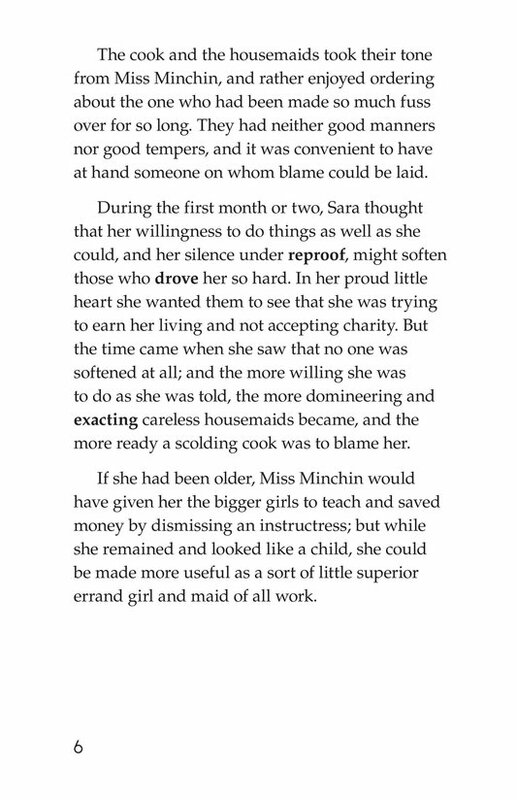 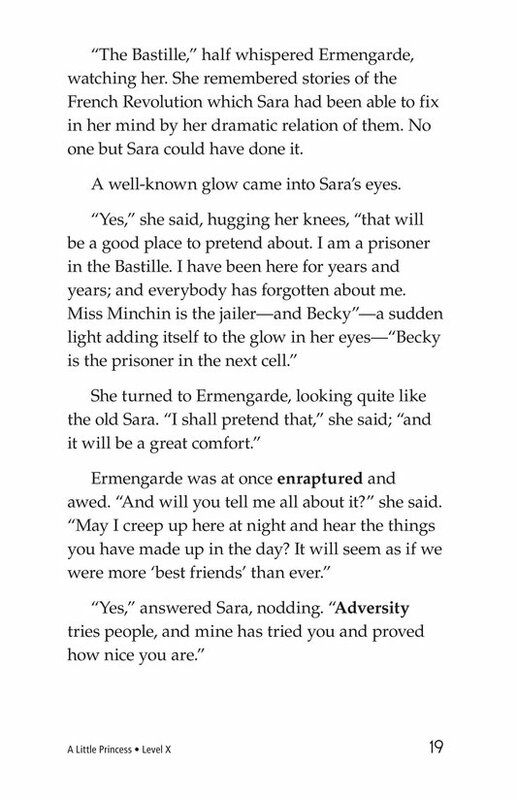 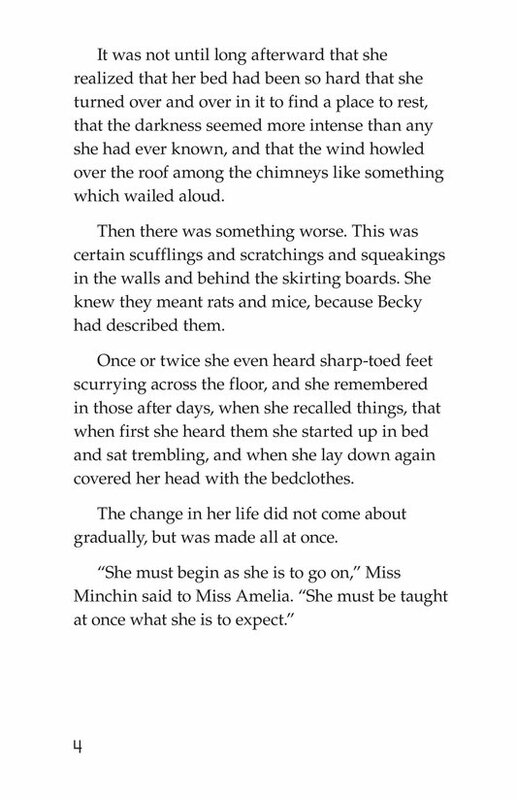 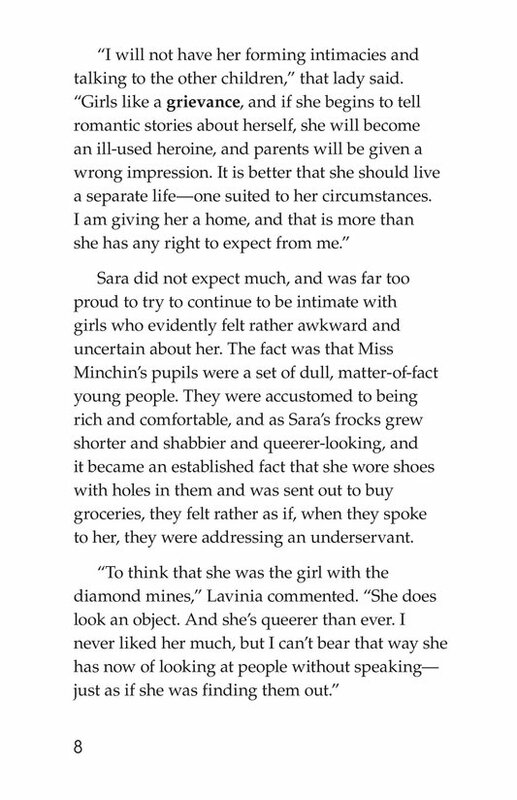 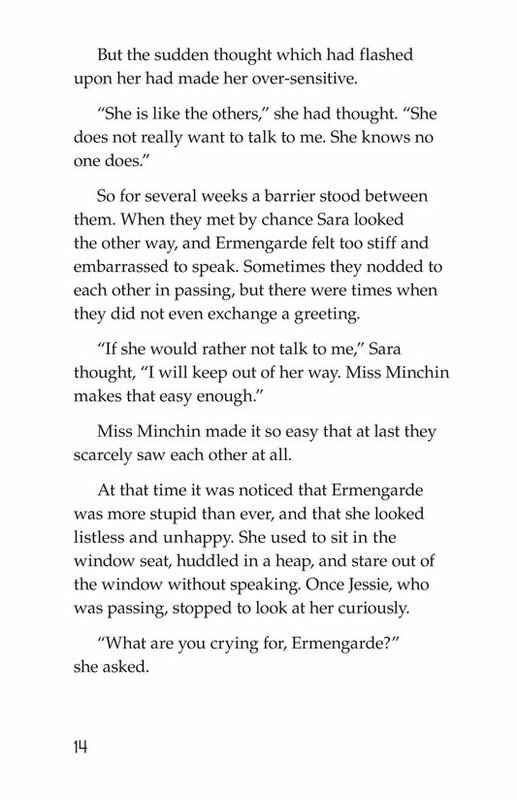 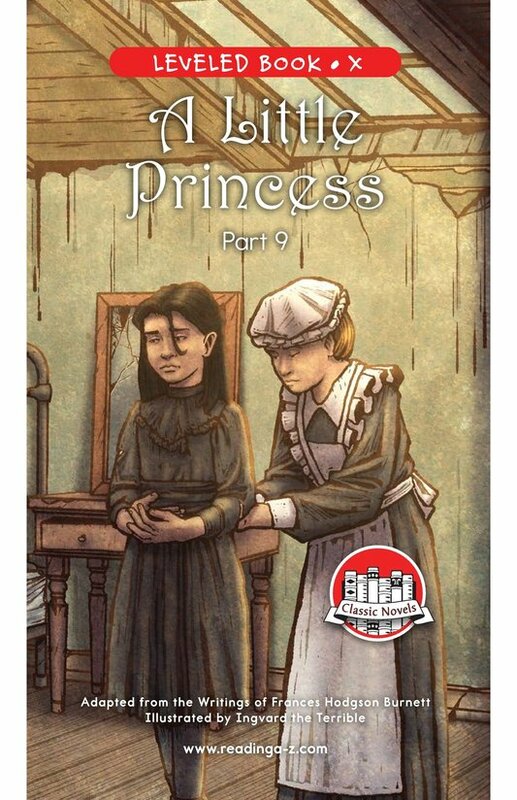 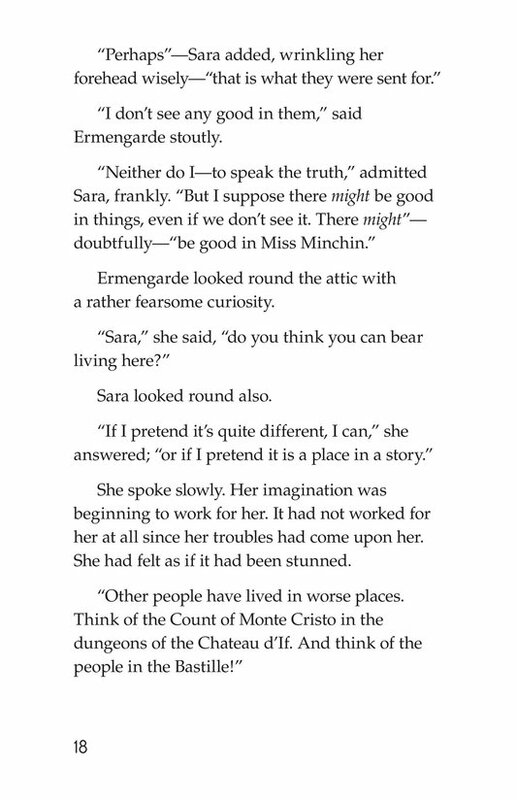 Miss Minchin forbids Sara to continue her friendships with her former classmates, and now that Sara is poor, most of them are not interested anyway—except for Ermengarde. 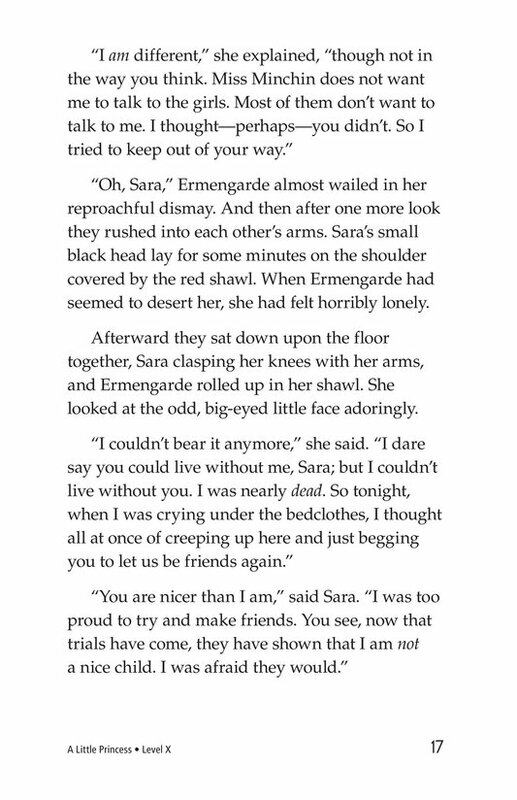 After an initial misunderstanding, the two girls reaffirm that they are still best friends. 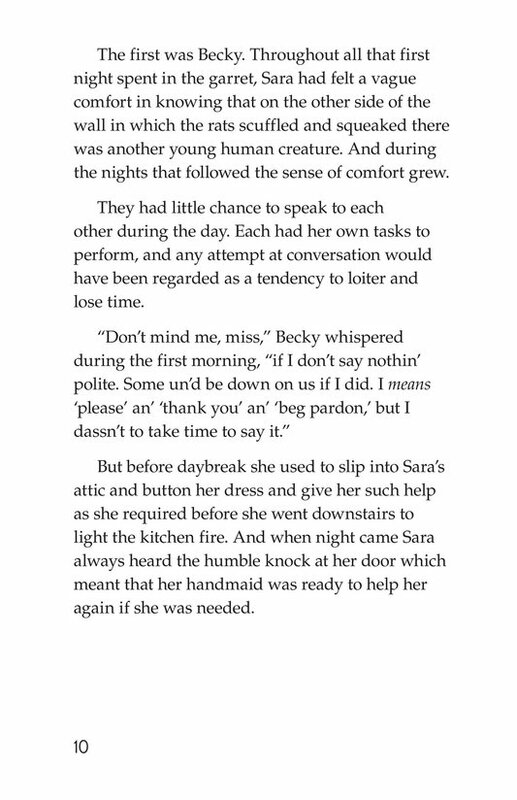 Both she and Becky remain devoted to Sara.